SIMPLY AMAZING! 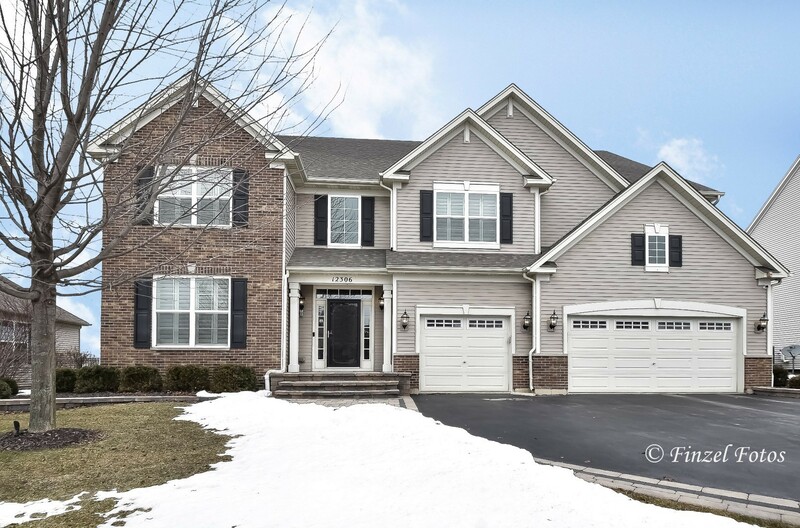 Beautifully upgraded Nottingham model, largest in Huntley&apos;s highly sought after Talamore neighborhood. Over 4,200 sq ft, & loaded from top to bottom with upgrades like the custom trim work, crown moldings, recessed lighting, plantation shutters & more. 5 bedrooms, 4 full baths with an en-suite perfect for an in-law arrangement on the main floor. Ready to entertain? the beautiful gourmet kitchen boasts cherry cabinets, sparkling granite counter tops with an island, peninsula, & SS appliances. Stunning two story family room that can be overlooked by the balcony above, upgraded double entrance staircase with wrought iron spindles. The second level features a huge master bedroom with trey ceilings, & an impressive master bath with giant walk in closet with built-ins. A "Princess suite" with a private bath, & two additional bedrooms share a Jack and Jill bath. Great outdoor living on the custom patio with fireplace, and dog run overlooking well landscaped fenced yard.